Fishing conditions for the next few days are going to be quite breezy. It wont be unfishable, just a bit uncomfertable and casting distances will be reduced. The good news is that the water clarity is still pretty good, so you still have a chance of targeting Plaice. Reports so far this week suggest that they are arriving slowly. The main run on the beach is yet to happen, and the charter boats are saying that only a few are coming from the Shambles. One species that seems to be around in unusually high numbers for the time of year are Flounder. They are coming from all along the coast. Whilst Flounder may not be the most sporting fish, they are always welcome, especially if you want to get out of the wind and find a sheltered beach. Finally some of the charter boats have managed to get out to the wrecks and get amongst the Pollock. 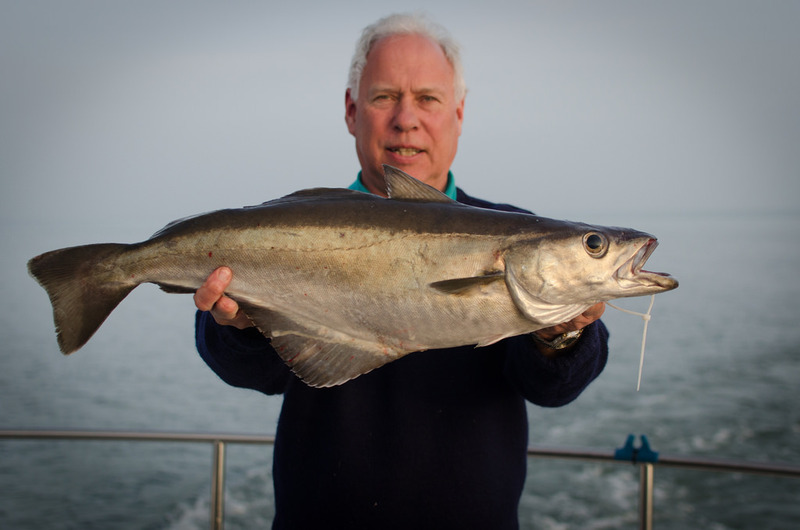 Mike a member Lyme Regis Sea Angling CLub managed a cracking Pollock last week out of Lyme Regis. 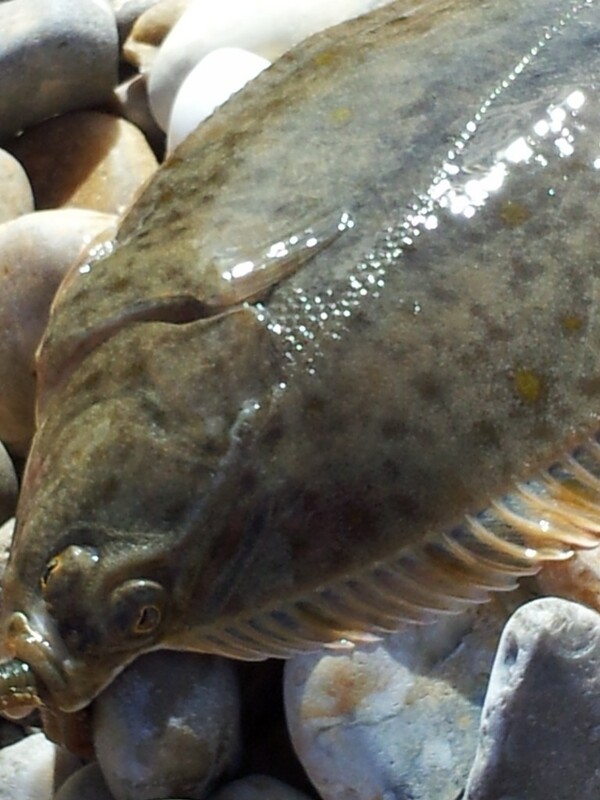 Chesil Beach forecast: Plaice will be on most peoples cards this weekend, and with the tides dropping of from springs there should be the chance of connecting with one or two. However they are not around in decent numbers yet. Stiff SW winds will making casting a bit more difficult. Keep your baits as streamlined as possible by using clipped rigs and a single hook. Night tides are producing plenty of Dogfish and Pout, with a few bonus Bass as well. Portland: More Wrasse are showing from the rock marks with some decent fish falling to Ragworm. Bull Huss and Conger fishing will improve over the next month, but it is still worth targeting them now. Portland Harbour: Mullet and Flounder are the main species that are in the harbour at the moment. 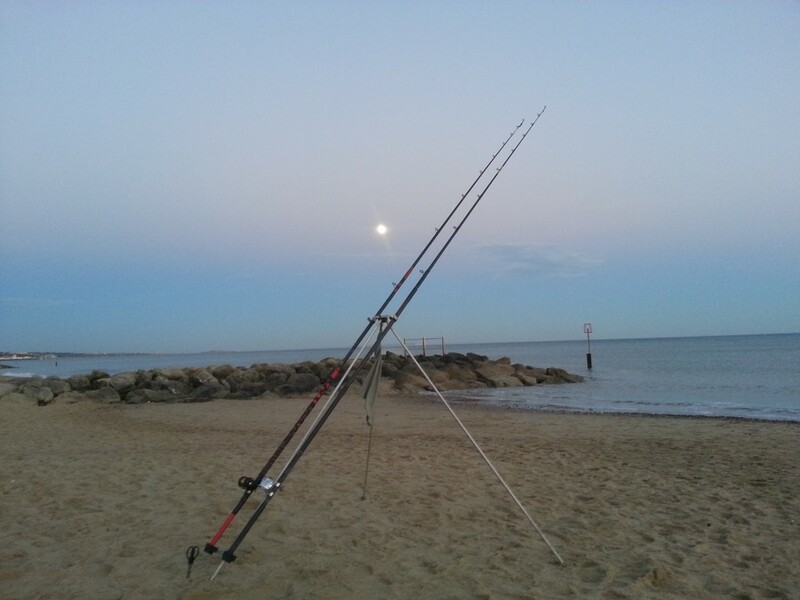 Fishing from Hamm Beach and Sandsfoot Sailing Club, will give you a good chance of catching a good bag of Flounder. You might even pick up a Thornback if you are lucky. Weymouth Bay: I have been checking the harbour every day for signs of the large shoals of Thin Lipped Mullet that will show any day. I know it is still early, but a few Mackerel have been caught on the Pleasure pier on light lures.